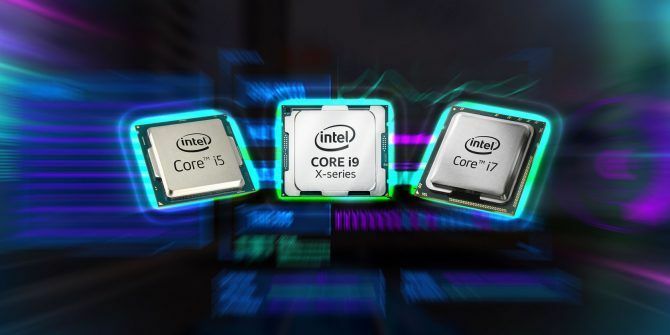 Finding out what generation Intel processor Intel Core i3 vs. i5 vs. i7: Which One Do You Really Need? Intel Core i3 vs. i5 vs. i7: Which One Do You Really Need? Confused by the differences between Intel Core i3, i5, and i7 processors? Here's what you need to know in layman's terms. Read More is in your Windows machine is as easy as a matter of a few clicks. We’ll walk you through how to find that information, and explain why it might come in handy. Open Windows Explorer and right-click on This PC or Computer (depending on which version of Windows you’re running) to open the context menu. Click on Properties. Under View basic information about your computer you should see a section called System, under which you’ll see a string of numbers and letters for your processor. So what do all those numbers mean? As the screenshot above explains, the first number in the four-digit string after the brand modifier reveals the generation of your Intel processor. The remaining three digits are the SKU numbers. Depending on your system, the number could be from 3 to 8. In my case, I have a 7th-generation Intel processor. Figuring out the generation of your processor is useful for a number of reasons. It can help you understand which version of Windows you can use on a machine. If you’ve been holding out on making the switch to Windows 10, you should know that current and new Intel generations won’t work with Windows 7 Why Windows 7 Won't Work On Intel's Current & Next Gen CPUs Why Windows 7 Won't Work On Intel's Current & Next Gen CPUs Microsoft doesn't want you to use old Windows versions on new hardware. Users on Intel Skylake processors won't receive updates for Windows 7 after July 2017. And next generation processors will be Windows 10 only. Read More . When testing out computers in a showroom before your purchase, you can also easily look up this information to get a better understanding of the computer’s performance. Or if you’re purchasing a used computer, this is how you can make sure that you’re getting the specs that are advertised. Do you have any tips or tricks for understanding your computer’s specs? Let us know in the comments. Explore more about: Computer Processor, Intel, Troubleshooting.